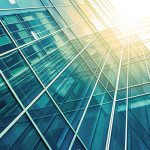 O’Brien Consultants provides commercial property advice to corporate businesses, property developers and investors. The company has a depth of experience in understanding the challenges affecting each individual client and tailoring its consultancy services to provide solutions to meet specific needs in a dynamic business environment. Established by Eugene O’Brien BSc MRICS in 2008, the company works throughout the UK for a range of SMEs, PLCs and International companies. It prides itself on its personal, problem-solving approach, tailoring solutions to the need of each client. Since its creation the company has coordinated the acquisition and disposal of significant amounts of property for clients from Belfast to Essex; Yorkshire to Somerset along with negotiating lease renewals, lease re-gears and rent reviews. The company is involved in promoting large scale development projects including for residential and employment uses involving negotiating through the planning system and acting as expert witness for both local authority and the private sector . The consultancy’s principal, Eugene O’Brien, qualified as a chartered surveyor in 1984. In the public sector, he has worked for Coventry City Council and Redditch Development Corporation. 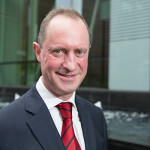 For more than a decade, Eugene was an equity director of commercial property consultants Phoenix Beard running its commercial agency team – with responsibility for the acquisition and disposal of hundreds of thousands of square feet of accommodation each year – as well as providing strategic advice to property developers and investors. Prior to joining Phoenix Beard, he also gained experience with two other major property consultancy businesses. Outside the world of property, Eugene is well known for taking on new challenges. He raised several thousand pounds to fund the establishment of a clean water supply for schools in Pakistan – by running a marathon – and continues to work with friends raising money to support education for the poorest in that country. He has chaired a charitable trust and is currently a governor of a Birmingham school. Most recently Eugene climbed Mont Blanc, the highest mountain in the Alps. Acquisition of a new distribution facility to support Mann and Hummel in the automotive after sales market. Identification of and negotiation to acquire a unit of 55,725 sq.ft (5,177m²) at Junction One, M54, Wolverhampton. Acquisition of a new distribution facility to support EGA’s roll out of a solar power installation programme throughout the south east of the UK. Rationalisation of manufacturing and distribution operations from three separate locations into a single facility. Identification and acquisition of office, manufacturing and distribution space of more than 136,000 sq.ft. (12,635m²) in Milton Keynes. Relocation of access hardware specialist Southco/SPS to a new office, design, manufacturing and distribution facility. Identification and acquisition of a combined facility at Swift Park, Rugby totalling 45,400 sq.ft. (4,218 m²). Coordinated exit from 5 original facilities.